The concept of “Golden September and Silver 10” seems to have changed in the gold market. A few days ago, the "Securities Daily" reporter visited a number of gold jewelry markets in Beijing and found that the "Spring Festival effect" seems to be more appropriate in the spot gold market. The pre-holiday hot and post-holiday scenes are in stark contrast, even in various Under the influence of promotional activities, consumers' preference for gold jewelry is still greatly improved before and after the Spring Festival. A salesperson of a gold jewelry in Xicheng District of Beijing told this reporter that the “Spring Festival effect” is very obvious in the gold market. The pre-holiday jewelry is satisfying, the consumers are crowded in front of the booth, and the festival is relatively deserted, one day of sales. The amount may not be as much as one tenth of the day before the holiday (every day); from the past years, the return to normal sales may have to wait until the second quarter, unless there is a big fluctuation in the price of gold. During the Spring Festival, the international gold price trend was up, but it did not have a big impact on the gold spot market. "Securities Daily" reporter recently visited a number of gold markets in Xicheng District, Beijing, and found that the sales of spot gold showed a big difference before and after the Spring Festival. The hot scene before the holiday disappeared after the holiday, and the corresponding situation was deserted. A lot. Beijing Caishikou Department Store, which is famous for its gold jewelry, is located in Guang'anmen Inner Street, Xicheng District. The upper and lower floors of the mall are mainly sold with gold, jewelry, diamonds, jade and silver ornaments. It is understood that the first floor of Caibai Shopping Mall is mainly sold in gold jewelry. The average daily sales per counter before the Spring Festival is as high as several hundred thousand yuan. The highest daily sales of the counter is also normal. However, after the Spring Festival, this newspaper The reporter visited and found that the hot scene before the festival is no longer there, although there are also consumers in the mall to shuttle back and forth, but more is to watch the lively. "There must be no comparison with the Spring Festival in the past few days. Before the festival, the whole shopping mall is full of people, and there are no places to stand." A salesperson at Caibai Shopping Mall said that there are many counters selling hundreds of them a day. Ten thousand yuan, on average, every counter does not have millions of yuan per day, but also hundreds of thousands of yuan; however, these days have been much more deserted, mainly during the holiday period, many people have not finished the year. It is reported that among the gold jewelry, the most popular consumers are necklaces, rings, earrings, bracelets and other accessories, and the main consumer objects are uncles and aunts around the age of 50, but there are also young people interested in fashion-like gold jewelry. For example, children's gold ornaments for the zodiac, the couple who are about to get married prefer gold displays. The "Securities Daily" reporter observed through the observation of the most intermediate gold jewelry counter on the first floor of the Caibai Shopping Mall. In the past 20 minutes, only three consumers came forward to interrogate, but in the end they did not purchase, and the period was the peak period in the evening. Most of the time, consumers are going back and forth and looking at the fun. I learned from the salesperson at the counter that the sales of gold jewelry are not related to price fluctuations, especially during the holiday period. Unless the price of gold fluctuates greatly, some uncles and aunts will buy with speculative psychology. Physical gold. Through understanding, the daily gold of the Caibai Shopping Mall was sold at a price of 349 yuan/gram, such as Jinjin 999, Jinjin ornaments, Platinum P1950, Platinum P1990, etc., according to 353 yuan/gram, 383 yuan/gram, 315 yuan/gram respectively. And the price of 325 yuan / gram, this price has not changed before and after the Spring Festival. "The price of gold in our shopping malls is determined according to the gold price of the international market every day. Although the international gold price of the long holiday price fluctuates, the price of the spot market will not be adjusted too much." An after-sales staff of Caibai Mall told Reporters, and some exquisite workmanship ornaments or display items, the manual fee is not charged, unified in the gold sales price. Subsequently, the "Securities Daily" reporter went to the Juntai Department Store in Xidan, Xicheng District, and its gold jewelry sales area was even more deserted. In the monopoly areas of many well-known gold brands, there were not many people walking around. The reporter asked a gold brand salesperson to find that there were not many consumers who bought gold jewelry a few days after the festival, mainly concentrated in the days before the festival. Although the gold market shows a big difference after the festival, the sales enthusiasm of the merchants is not low. Through the sales of several gold brands, it is found that the promotion activities of the merchants have been carried out before or after the festival. Some merchants have launched lottery activities, and some merchants have launched new and old customer membership points activities. It is also the use of "full reduction activities." Take the Caibai Shopping Center as an example. During the Spring Festival, we launched the New Year Welfare Coupon, the bonus points for the member points, the full lottery, the gold to buy the “silver”, the gold “Jin” and the lucky event. In addition, we also added hot elements. 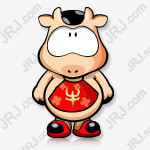 , launched a new series of "Little Pig Pecs" and other accessories. At the same time, in the category of jewelry, merchants also launch different products according to different groups of people, such as merchants special launch of New Year's jewelry, prayer ornaments, children's jewelry, wedding jewelry, etc., where there are special preferences for gold jewelry, businesses can meet . In the interview, the "Securities Daily" reporter found that although there are many styles of regular promotion activities, there will be new designs in the price of gold sales. For example, the gold jewelry sold by Caibai Jewelry does not charge processing fees or packaging fees. The price of the other items is included in the price. In the multiple gold brand stores of Juntai Department Store, the processing fees for different gold jewelry are also charged. Not the same, basically based on the differentiation of jewelry to determine. "Our brand's gold jewelry collection processing fee standards are not the same, mainly depends on the price and processing technology of this jewelry." Juntai Department Store, a gold brand store sales staff said, "The price of gold jewelry in our store is also More high, today's gold price is 369 yuan / gram, but there are also promotional activities, once you buy each gram of gold will drop 20 yuan." Through the knowledge of a number of gold jewelry sales staff, the "Spring Festival effect" of the spot gold market is still very obvious. The pre-holiday sales are the most popular, and will be deserted after the holiday; in general, after the second quarter of each year, the spot gold sales The situation will pick up, but it also depends on the fluctuations in the price of gold. Once there is a big decline, there will still be many consumers coming to buy speculative gold items.